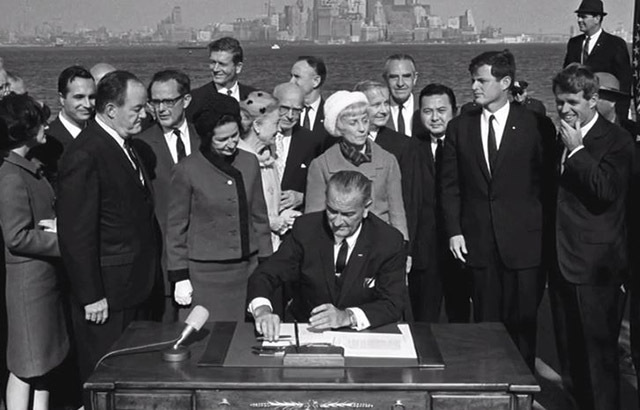 This conference will mark two golden anniversaries of events which occurred within a day of each other half a century ago – the 50th anniversary of the Immigration and Nationality Act of 1965 (Hart-Celler Act) and the 50th anniversary of the opening of the University of California, Irvine – by bringing together distinguished scholars, journalists, historians and lawyers to discuss immigration policy in the United States. Speakers will discuss the past, present and future of immigration policy, examining the shift from the inclusionary vision of the 1965 Act to the enforcement patterns we see today. Please direct any questions to Shani Brasier, sbrasier@uci.edu or 949.824.2904.